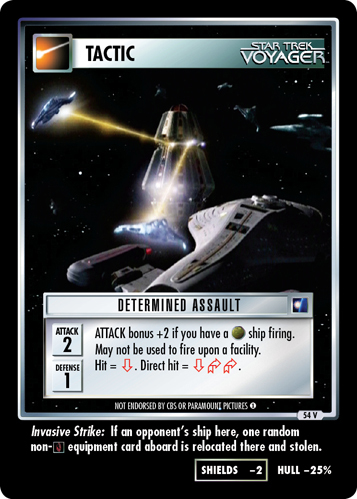 ATTACK bonus +2 if you have a ship firing. May not be used to fire upon a facility. Hit = . Direct hit = . 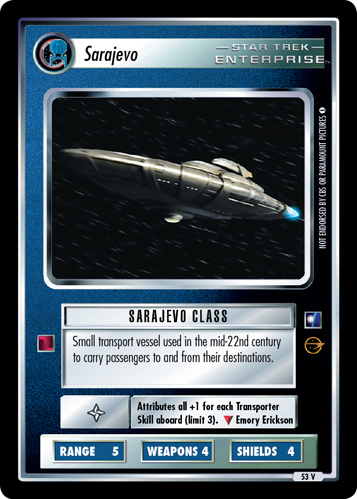 Invasive Strike: If an opponent's ship here, one random non- equipment card aboard is relocated there and stolen. Image Source: Voyager: "Think Tank"